The ANC Women's League's long-awaited conference is set to get underway in Pretoria today where, after a two year delay, new leaders will be elected. The ruling party's women's league has battled to hold a conference, which has already been postponed twice this year, since 2013. 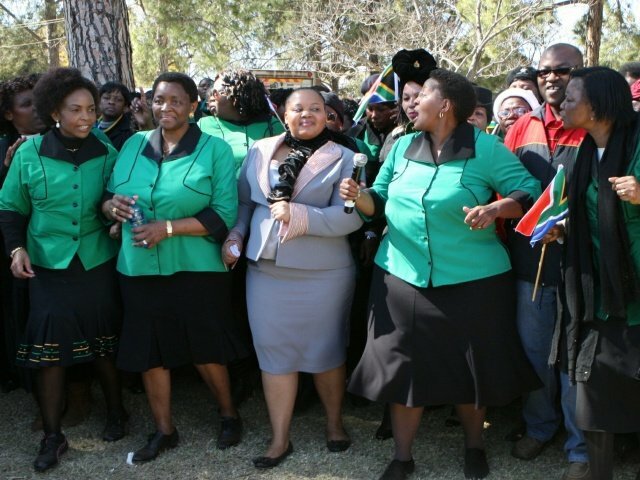 The ANCWL is set to deal with a number of policy documents focusing on the inclusion of women in the economy, gender-based violence, women and poverty as well as education and health. ANCWL Treasurer General Hlengiwe Mkhize they will also discuss implementation of some policies and legislation. "Of course there are standard issues that we tend to look at in terms of policies and legislation, [and] how well we are doing in sustaining gender equality and women empowerment. "So we will be reviewing progress and I can imagine that there are areas where women will say 'yes, there is this law but implementation is a challenge'," she said. Delegates are expected to break into commissions during the conference to discuss policies. These policies would then be taken to the ANC's national general council later this year. As well as being ANCWL Treasurer General, Mkhize is the National Convenor of the Progressive Women's Movement of South Africa (PWMSA). The movement is a non-profit organisation comprising a number of women's organisations and was founded in 2006. Mkhize says while most members of the PWMSA are also ANC members, those who are not will attend the ANCWL conference representing NGOs and churches and will participate in commissions where policy is discussed. The women's league is also set to elect new leaders. The league is said to be plagued by factionalism and infighting, which has forced the ANC to step in. It is understood that current ANCWL president, Angie Motshekga will be opposed for the top position by Social Development Minister Bathabile Dlamini. Mkhize says it is characteristic of the traditional women's league to be based on strength in unity. This was something the conference will emphasise. "Especially because, even [in] this conference, it happens that leadership is highly contested in ways which are not typical of the women's league. With two core groups pushing strongly on both sides," she said. There has been a lot of debate around whether the country is ready for a female president and why the ANCWL has not championed this idea. Earlier this week, Motshekga said she would clarify the ANCWL's position on a woman president at the conference.